By David Ponce on 04/29/14 • Leave a comment! We usually think of a doorbell as something that alerts people on the inside that there may be visitors wanting to enter on the outside. This GuitDoorbell makes a strumming sound when the door is actually opened, which alerts people on the inside that someone already entered. 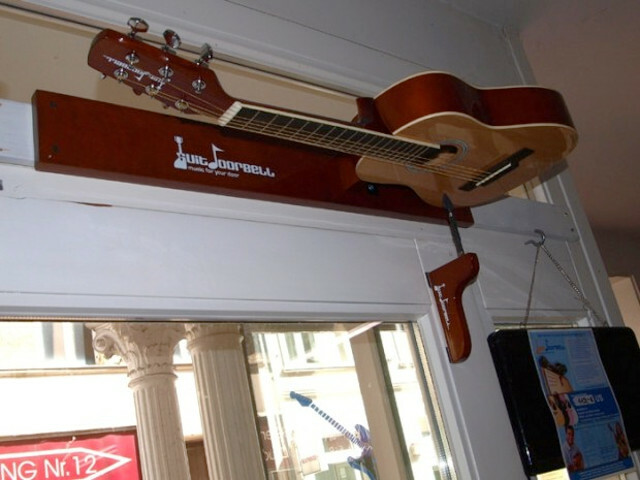 That makes this product’s name a bit of a misnomer, though we suspect that GuitDoorChime (or whatever) may have sounded stupid to the products creators. Whatever gripes we may have about the name, the product is kind of cool; set the guitar to play any chord, and each time anyone enters it’ll play it. We think it naturally belongs in a music store, sure, but we can picture this in any home without stretching our imagination too much. It’ll cost you $150, and comes in two colours. By David Ponce on 11/26/13 • Leave a comment! 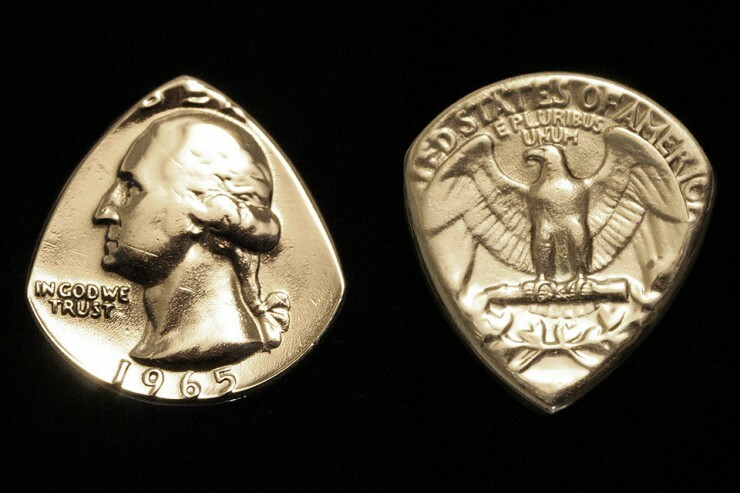 There are those who can quickly tune a guitar by ear, and then there are those who can’t. Fortunately for the latter group, there’s a product like the Roadie Tuner to help. It’s a small handheld device that pairs with your smartphone and automatically tunes your strings. Just place it on each peg, pluck the string in front of your phone, and it’ll do the required adjustments. You can even choose from alternate tunings, or even create your own. Also, it’ll analyze the tonal quality of your strings and alert you when it detects it might be time to change them. 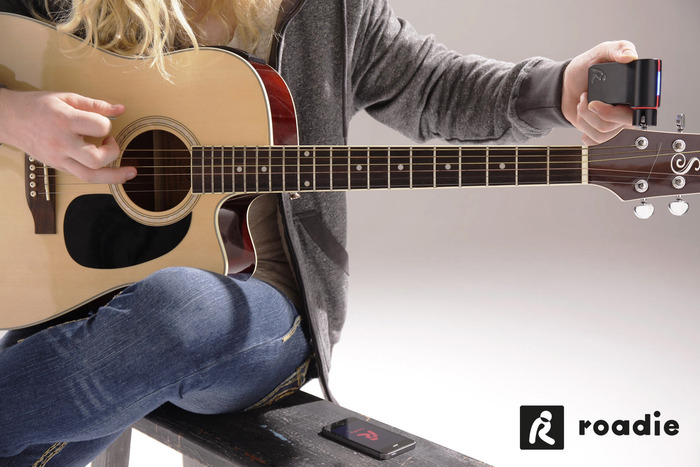 As a matter of fact, Roadie Tuner isn’t limited to traditional guitars; it’ll tune any stringed instrument, with any number of strings. Currently on Kickstarter, a $79 pledge will get you yours, with a delivery date of June 2014.